The Lake Forest Park Library is offering a special event on Saturday, April 6, 2019, 2:00pm. 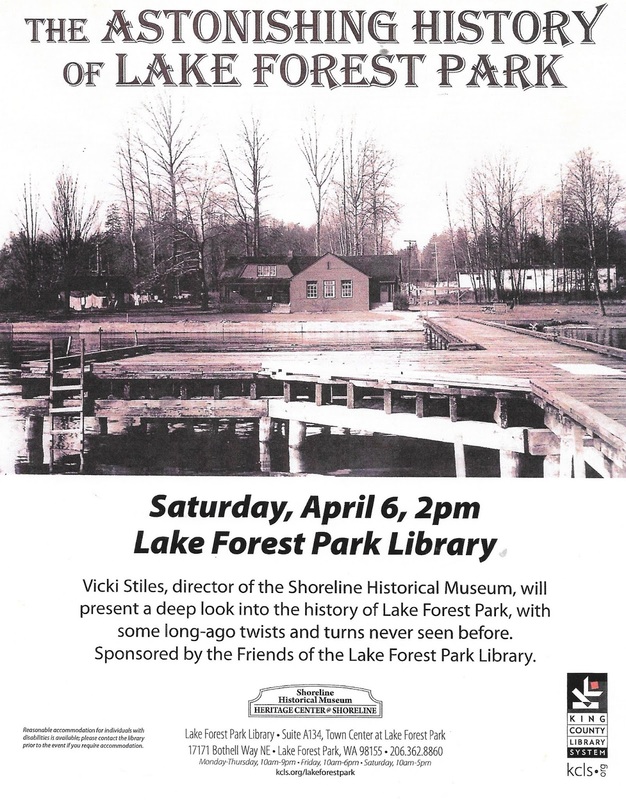 “The Astonishing History of Lake Forest Park,” presented by Vicki Stiles, Executive Director of the Shoreline Historical Museum. Co-sponsored by the King County Library System. The library is located on the lower level of Town Center, intersection Bothell and Ballinger Way, Lake Forest Park. Come join in for a short but insightful journey with Vicki as she opens the history’s heart up to us all. 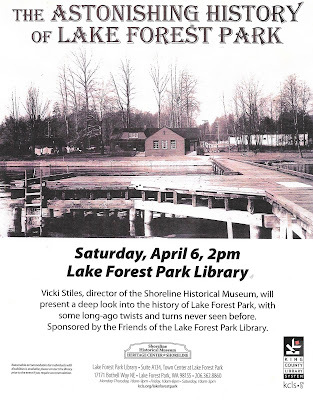 The Shoreline Historical Museum covers North Seattle, Shoreline, and Lake Forest Park. It is located at 18501 Linden Avenue North, just one block west of Aurora Avenue North, in Shoreline.